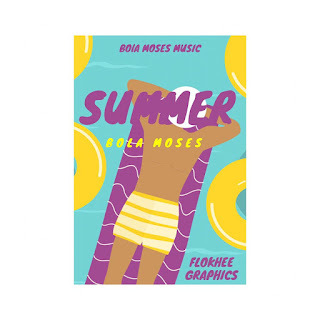 Bola Moses releases the first song of 2019 after having a brilliant debut 2018 he blesses us with a good tune Tittled SUMMER, we recall few of his hits from 2018, titled GOOD VIBES(f.t Merely Melody), DOSE and the legendary tune 21. Bola Moses also announced the release of Music Video "21", which is to be dropped this year 2019. We look forward to hit tracks from the Eccentric Artist, and also mark the 12th as his Birthday, we wish him a Happy Birthday in Addy and more grace in the Industry❤. CLICK HERE TO DROP A COMMENT ON THIS TRACK, WHAT DO YOU THINK?